It's great. Very, very funny. 2019, it's the year of the Riddle! 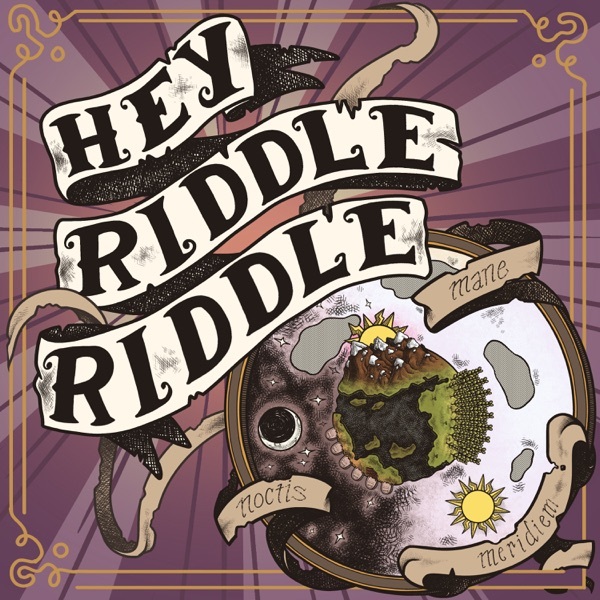 Game Grumps, MBMBAM, and Hey, Riddle Riddle are all doing puzzies and riddies! In this Valentines Day episode we fall head over heels for some love and relationship based puzzies and riddies! We also try and remember all the RomComs EVER, figure out how many times we've been broken up with, dish first kisses and plan out our ideal marriage proposals! Also JPC invents a new sandwich and you should brace yourself! In this episode the Clue Crew might be getting sued! JPC is obsessed with Ariana Grande, Erin casually brings up the time a kid tried to stab her brain and Adal can’t catch a break in Seattle. Also Sandy brings us some fun in the sun with a piping hot Sandbox! If you like the show and want more, join our Clue Crew by subscribing on Patreon at patreon.com/heyriddleriddle for weekly bonus episodes and other content! This week, the Clue Crew digs into words that they don't understand, all of their favorite podcasts, the art and science of talking through a kiss, an off-off broadway show that never was, a much anticipated return to talking about sheep, some very intentional product placement. If you like the show and want more, subscribe on Patreon at patreon.com/heyriddleriddle for our weekly bonus ep! #24: New Year's Re:SOLUTIONS! With Zach Reino & Jess McKenna! #21: Jester Tester with Brooke Breit! #15: Bleh Riddle Riddle! a.k.a. RiddleWeen! The Baron of Brainteasers, Justin McElroy (The Adventure Zone, MBMBAM), drops in to guest host a Mail Bag episode with listener submitted Riddies and Puzzies! We figure out one specific word in all of English language, teach a very special dog new tricks, list off all the best wars AND solve a classic mesa death! You don't want to miss this hot hot ep! Also special thanks to Steve Ahlman for audio assistance! The super young and hip hosts are back at it this week and they're younger and hipper than ever! SO YOUNG! In this episode a woman writes in an unusual place, an irregular man dies because of his timepiece and an airplane is used for nefarious purposes. PLUS a very special celebrity actor that's NOT Alan Arkin pops in and overstays his welcome.